A range of SEPHORA COLLECTION single dose DIY face masks that are fun as they are effective! These powder masks turn into a rubber-like paste in peppy colors when mixed with water. A range of SEPHORA COLLECTION single dose DIY face masks that are fun as they are effective! These powder masks turn into a rubber-like paste in peppy colors when mixed with water. Applied in a generous layer, they dry on skin then peel off in one gesture and leave the skin perfectly cleaned and purified. They take just 1 minute to prepare and work in less than 5 minutes! - GOJI: It reduces signs of fatigue and brightens dull-looking skin. - KIWI: It removes the skin from impurities and durably matifies. - CHARCOAL: It detoxifies the skin and gives a revitalizing effect. - COCONUT WATER: It soaks the skin with moisture and relieves it from tightness. - Colorful and glossy formulas for the ultimate selfies! - A small pot and a spatula to prepare your mask at home. - Visible results in less than 5 minutes! Colorful powders which turn into creamy pastes which are generously applied to the face and removed when dry. Practical and fun! A range of masks you can prepare yourself for perfectly clean and beautiful skin in only 5 minutes! Suggested Usage: -Add water to the level indicated on the pot. -Mix with the spatula until a paste is obtained without lumps. 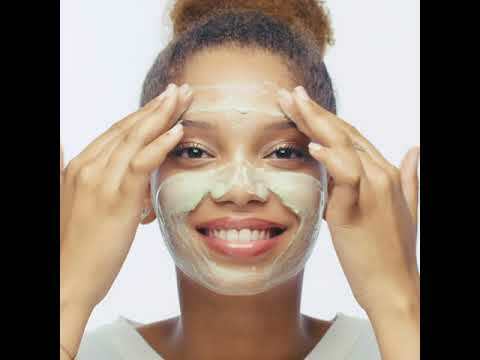 -Apply the mask in a thick layer and leave for five minutes. -When dry, remove the mask by gently peeling it off. -Rinse to remove any residues. -Use twice a week for optimal results.